"You have around hundred pairs of shoes. You still want to keep this?" She asked. "You know the answer to that, Neha." Suhail replied. "I know it holds a lot of importance to you. But you are the country's biggest superstar. You should not own rubbish like this." 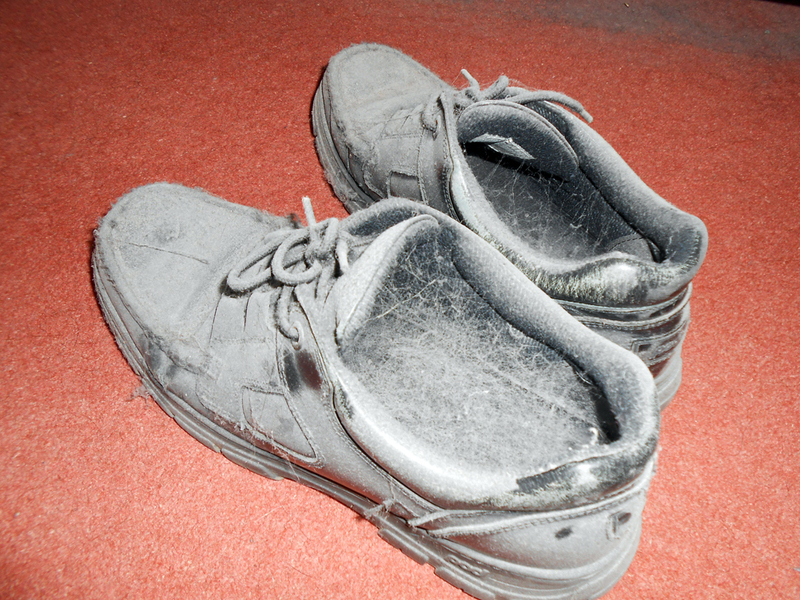 Suhail walks to his closet and looks at the old, dusty, tattered pair of shoes. The shoes he wore the first time he came to this city. The shoes he wore to auditions while he was struggling. "I might be a star for the world, but this is the actual me. Always." This drabble (100 word fiction) is written for Friday Fictioneers, 22nd September 2017. A good way to stay grounded and remember how far they have come. Perhaps more of the 'celebrities' around the world should do the same! Nice one. It's always good to stay grounded and to remember from where we started Adds so much humbleness and goodness in a person. At least he has his feet firmly planted on the ground. Good one. Wonderful response to the prompt.